In Mulmix&apos;s Technical Department there are very experienced, professional and skilled employees who use the most modern calculation and planning instruments to produce the customers "customized" solutions. 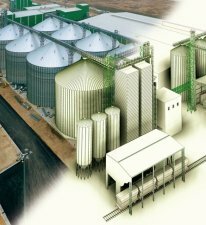 Every plant proposed is studied in cooperation with the customer to reach the best compromise among performance, functionality and overall investment. The plants are achieved using a "turnkey" approach, proving Mulmix&apos;s capability even in this type of activity. Attentiveness to the latest norms in the field of plant design and planning, Mulmix&apos;s Technical Department is structured to make qualified Project Managers available to follow all of the phases through ordering, and assembling and post-sale operations. A skilled and careful Research &amp; Development Department works daily to produce more and more efficient and effective machines for the type of work they are intended for. Mulmix headquarters occupy a wide covered and uncovered area which hosts the production, the semi finished and finished products, the packages and the shipping department. 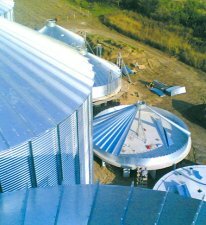 The mechanical manufacturing is achieved either internally or externally by the company or external companies or not that use the latest technology (laser cutting, shearing, bending and sheet punching), completely assisted by numeric control machines. The high quality materials used, are systematically submitted to process controls, both while entering and exiting the warehouse. 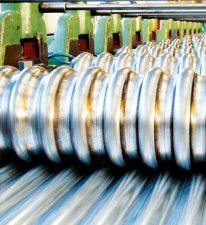 Machines, structures and connection elements are subject to accurate anticorrosion treatments such as hot galvanization and epoxy powders painting, to guarantee to every Mulmix plant its longest duration. The choice of materials and working processes is oriented around respect for the environment. Every component of the plant is prepared for shipment according to its characteristics and to the shipping method used. The stowage in the means of transport is treated very carefully to avoid damageduring the transportation. The activities related to the civil works and electromechanical assembling of the plant are carefully planned by Mulmix to minimize the time taken to achieve the final product and to optimize the available resources in terms of equipment and local manpower. The teams are selected according to the European laws in force, operate in strict coordination with Mulmix&apos; Technical Department and are able to create plants that conform perfectly to the planned designed. The dedicated office manages the service of coordinating the assembly teams both in Italy and abroad: it organizes and coordinates the supervisors, receives and verifies the weekly reports on the construction site progress, manages the possible Non-Conformities according to the UNI EN ISO 9001:2008 and monitors the construction site progress according to the schedule agreed with the clients during the contractual phase. The testing operations are preceded by a careful check of the installation. As an integration of the Use and Maintenance manuals of the machines, the client&apos;s personnel is trained how to manage the plant in the best way. 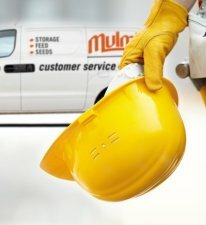 For the after sales, a well-provided spare parts warehouse, the historical archive, the sales network, the customer care service and the quick response team all guarantee the maximum reliability on Mulmix plants. A wide and efficient commercial network with representative offices both in Italy and abroad offer all clients a qualified and prompt assistance. The client&apos;s satisfaction and a quick and efficient response to their requirements represent the continuous commitment that includes all Mulmix workers.